The Google design team were months ahead of Apple with new emoji in the past year. 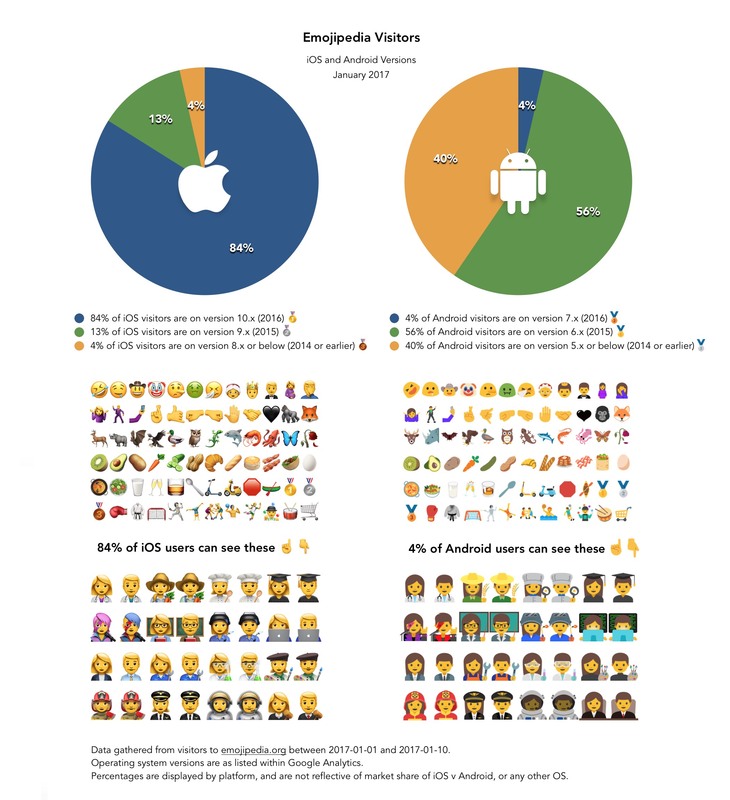 Support for the latest emojis came to Android in the major Nougat release in August of 2016. Unicode 9 support was first added to Android 7.0 in August, followed by genders and professions which arrived with 7.1 in October 2016. This was some timely updating from Google, especially compared to previous years. Above: Unicode 9 emojis as shown on Android Nougat. By contrast, iOS didn't include any new emoji updates until iOS 10 in September. The rest of the new emojis came months later in iOS 10.2 in December 2016. 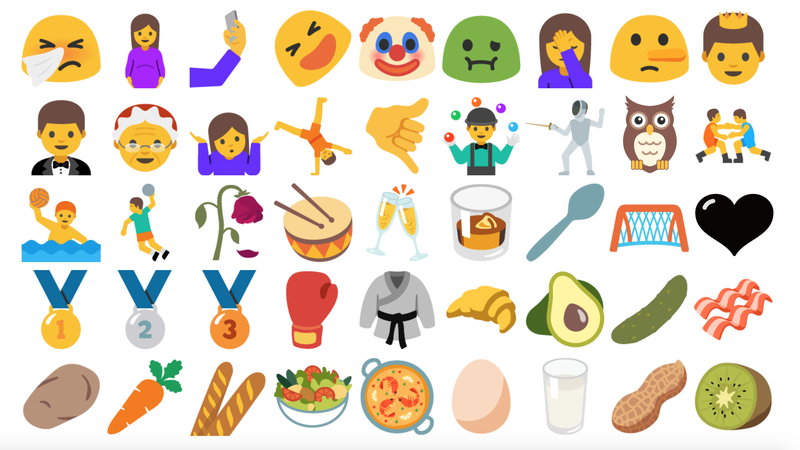 New emojis are bundled with system updates for iOS and Android, as emoji fonts and relevant Unicode support is provided at an OS level. This system should work well, but the weak link is relying on manufacturers to provide updates in a timely manner. Vlad Savov reported in September: most phones at IFA (large tech show in Europe) were running a year-old version of Android. "Marshmallow isn't in itself bad, but it's no longer either the latest or greatest from Google." These aren't old phones not getting updates: they're brand new phones running an out of date OS. It's not a good sign. Looking at Emojipedia statistics for the start of 2017, the lack of Android users running any new version is stark. Above: Emojipedia visitor stats for January 2017. Larger image. 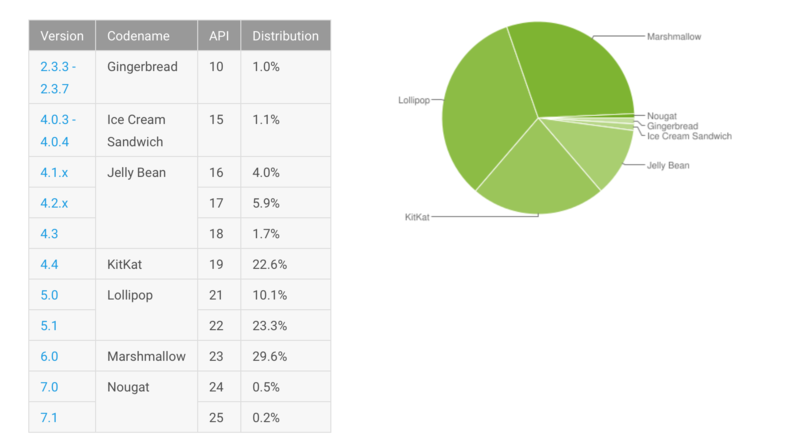 Google's own statistics on Android version share show worse results with under 1% using Android 7.0 Nougat. With numbers like that, it's no wonder so many apps are providing their own custom emoji support these days. Snapchat, Messenger, WhatsApp, Telegram and Slack all use emoji-replacement images on Android; in a trend started by Twitter with Twemoji which was released when the most popular browser on Windows (Chrome) didn't include emoji support. 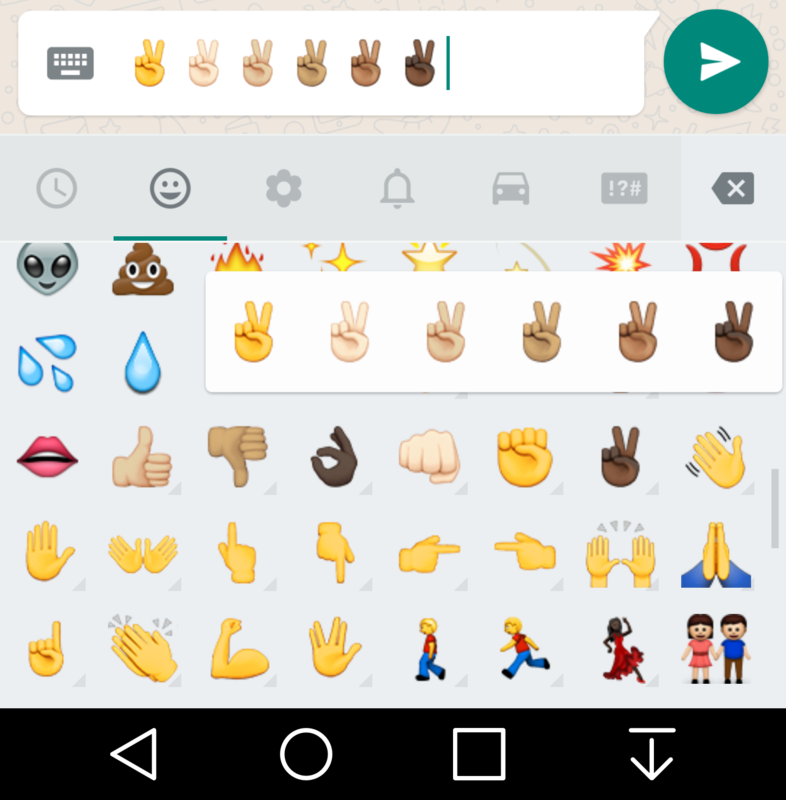 Above: WhatsApp for Android uses Apple's emoji images. Screenshot: Android Police. Given the slow state of Android rollouts from major vendors, apps have taken emoji support into their own hands. While this requires more effort from app developers (native emoji support is much simpler to support), it may the best outcome for users who would otherwise be stuck not sure what people are sending. A phone that can't see the last 12+ months of new emojis is crippled as a communication device. Thankfully, Google currently has a Pixel range of phones which are stated to support the latest Android releases for at least two years. Stock Android has been very prompt with emoji updates recently, and the Pixel is a good way to get these updates quickly. Apple tends to support new software updates on iPhone for around four years. 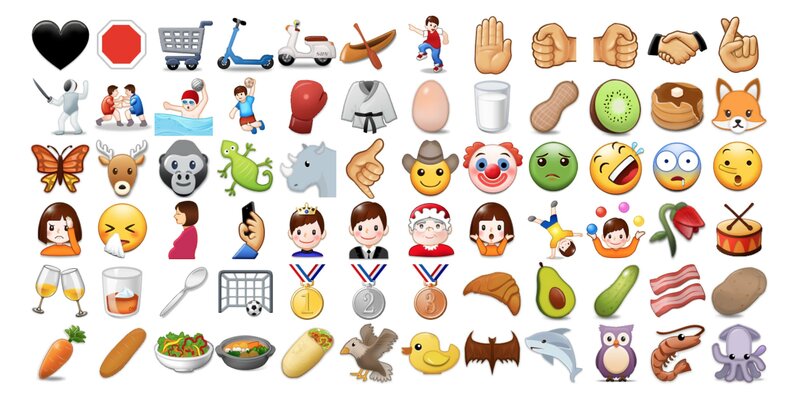 Emoji updates generally arrive between September—December each year. Other vendors tend to be less specific about if or when they may update any phones in the future. Adding to that are companies such as Samsung that roll their own emoji set, usually behind the pace of Google's own updates. Above: Emojis as they appear on Samsung devices. Mobile World Congress (February 2017) will be an opportunity for OEMs to emphasise how frequently, and for how long their latest flagship devices will receive updates. Time will tell if any new commitments are made on this front. The answer for users is very clear: if you care about new emoji support, be careful which phone you purchase. Unless you like looking at empty boxes.